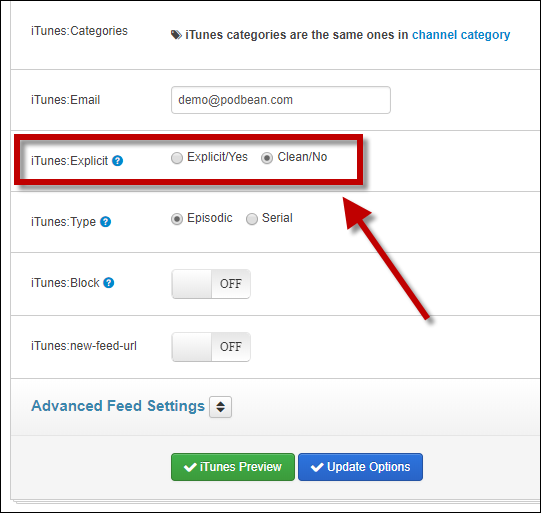 Go to “Settings”→”Feed/iTunes” and find “iTunes: Explicit” to choose “Clean/No” or “Explicit/Yes”. The default is set to “Clean/No”. 1. yes | explicit | true. If you specify yes, explicit, or true, indicating the presence of explicit content, Apple Podcasts displays an Explicit parental advisory graphic for your podcast. 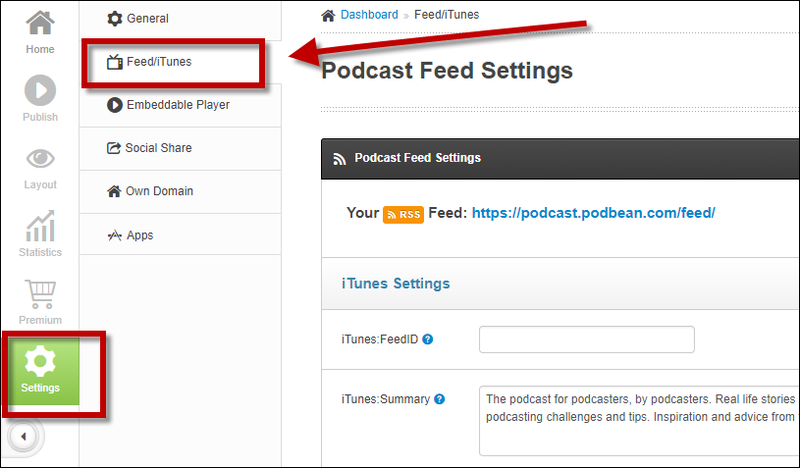 Podcasts containing explicit material aren’t available in some Apple Podcasts territories. 2. clean | no | false. If you specify clean, no, or false, indicating that your podcast doesn’t contain explicit language or adult content, Apple Podcasts displays a Cleanparental advisory graphic for your podcast. Note: The parental advisory graphic appears under podcast details badge in the Name column in Apple Podcasts.